Enrober Conveyor Belt for Food Grade is made of stainless steel wire to avoid any kind of contamination in the products. Available in different diameters, pitches and widths, this conveyor belt can be made for both straight conveyors and curve conveyors. It is provided with little cams, or with special formed internal wire that help in conveying products in a special way. This conveyor belt is normally driven by stainless steel or plastic made toothed sprockets that can be adapted to any required. 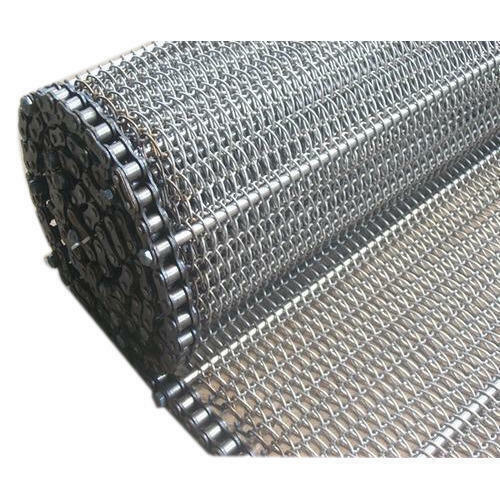 Wire Conveyor Belts are manufactured by us in wide range of varieties. 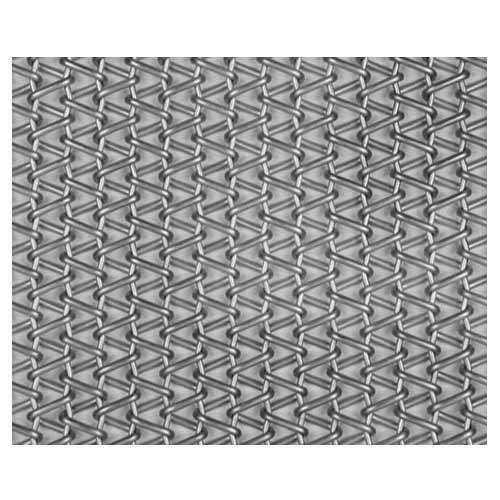 Made by using high grade, mild steel, stainless steel or spring steel, these conveyor belts are less expensive than any other metal belts. Widely used in food processing industry, lifting equipments, brazing and many other conveying applications, these is a special type of belt conveyor that is specially made for carrying small items and delicate or polished surfaces that can be damaged or marked by a more open mesh. Balanced Weave Conveyor Belt is the optimal choice for friction driven conveyors. 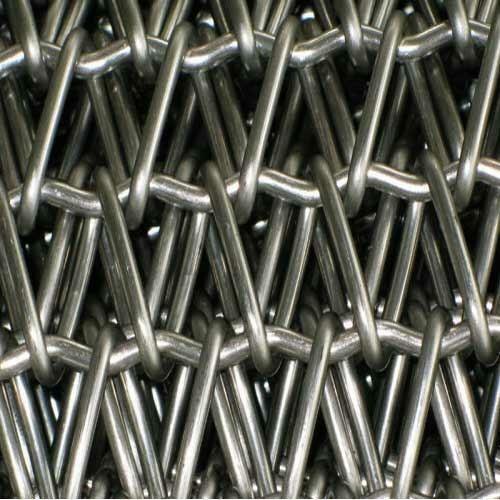 This conveyor belt is made by a series of left and right hand wire mesh spirals joined by a connecting rod or crimped rod. It is highly used in packaging and food processing industry where there are small products or they require a lot of support. This is also wide in demand by food processing industry for product transfer and baking applications. N Shaped Stainless Steel Conveyor Belt is great in demand in food industry for various applications like baking, dehydrating and drying. This conveyor belt is with flat wire spirals across the belts width and connected with either straight or crimped cross bars. 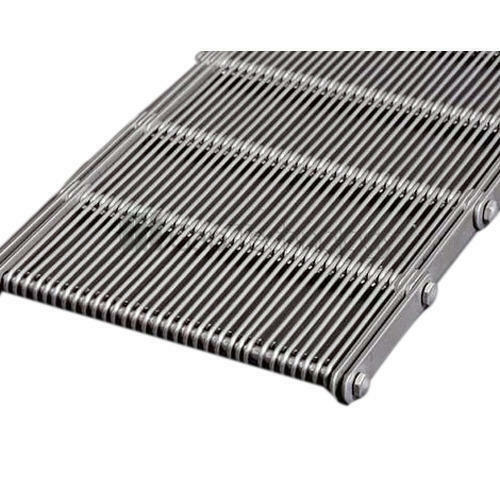 Available with welded or linked crossbar edges, it has a crimped connecting rod that ensures that spiral pitches are accurately set. Balance Stainless Steel Conveyor Belt is widely used in food processing, ceramic, glass and metal working industries for varied applications. 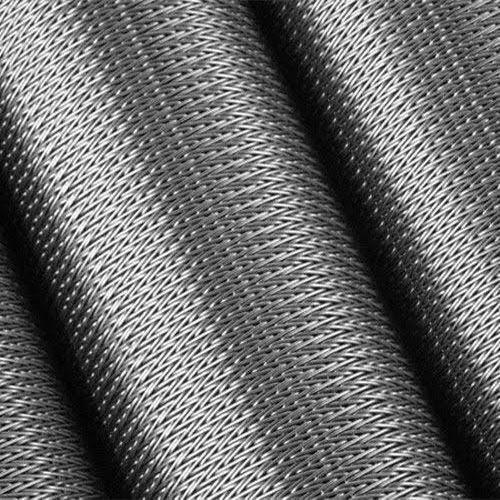 These are available in different stainless steel grades to meet specific requirements of industrial applications.